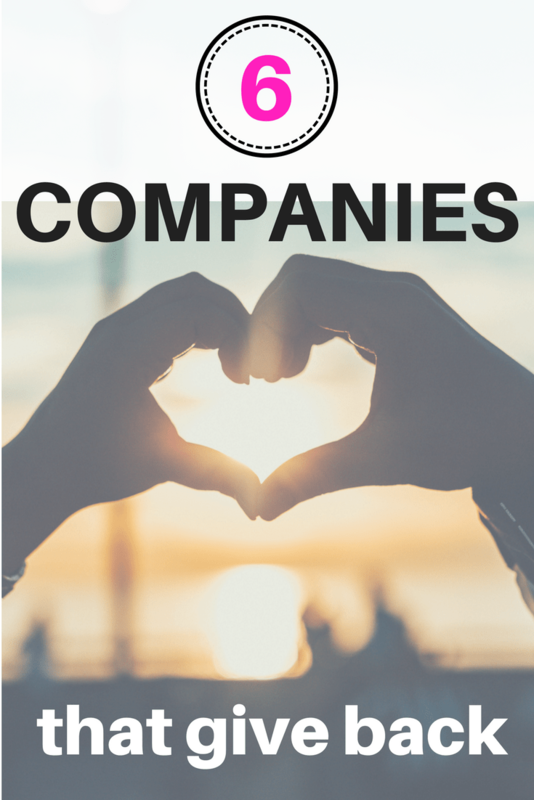 Maybe you already know that these companies give back to the community. Or, maybe, like me, you buy these products because you like them, never even knowing of their generous nature. This is my favorite hat. It’s warm, stylish and who can resist a good pom-pom? This Minnesota based company sells mainly online. Its hats are available in a few select Minneapolis boutiques (where I found mine). I had no idea when I purchased this hat, the inspiring mission statement behind the company. Love Your Melon donates fifty-percent of all sales to organizations dedicated to fighting and treating pediatric cancer. 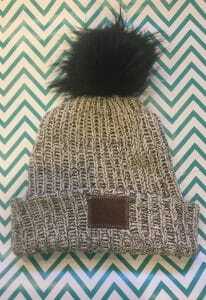 Even more impressive, if you know of a child battling cancer, you may request a free hat from the company. This online sock company gained recognition on Shark Tank. For every pair of socks sold, the company donates a pair of socks to a person in need. Did you know that socks are the number one item requested at homeless shelters? Bombas does and they have donated millions of pairs to date. In fact, the socks they donate are specially designed for the homeless population: an antibacterial treatment to reduce the need for washing complete with reinforced seams. This company also stands behind the quality of their product with a 100 percent happiness guarantee. Even better, they have a growth guarantee. What does that mean? 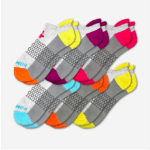 If your toddler or child outgrows their Bombas socks within a year, they will replace them for the next size for free! Click here for 20 percent off your first Bombas order. Perfect for the book lover in your life, Out of Print sells literary-themed products, from books to socks, totes, mugs, even matchbook sets. Their products feature bestselling, classic and banned books. Out of Print funds literacy programs and donates books to low-income communities. For every product it sells, they give away one book. You can shop for Out of Print at its brick and mortar store in New York City, on its website, or on Amazon.com. My husband bought his first pair of glasses at Warby Parker. Located near his office in Manhattan, Warby Parker sells stylish and cool glasses at a fraction of the price of other stores. But what really sets this company apart from the competition is that for every pair of glasses they sell, they donate a pair to someone in need. You can shop for Warby Parkers at one of their shops or online. What first attracted me to this bread company? I’m always looking to add protein to my family’s diet. Dave’s Killer Bread is made from organic, non-GMO ingredients, with whole grains and no corn syrup. I never buy white bread but I do buy Dave’s White Bread Done Right, made with whole grains (not bleached flour) and super grains. Their bagels have 12 grams of protein! It wasn’t until months of buying this bread, that I stopped to read the packaging and learned the meaning behind the company’s name. Dave, a former felon himself, founded a program that gives formerly incarcerated Americans a second chance at employment, changing their fates forever. You can even learn more about some of Dave’s employees. Besides running various community-based volunteer programs, Dave’s Killer Bread donates more than 300,000 loaves of bread per year to food shelters and other organizations. You can find some varieties of this bread at Costco or your local supermarket. You can also purchase them online through Amazon Fresh. By now, we probably all know about the mission behind Toms Shoes. Buy a pair of shoes, give a pair of shoes to someone in need. But did you know that through its sales, Toms also gives the gift of sight (glasses, medical treatment, and surgery), the gift of safe water, the gift of a safe birth, and supports bullying prevention? You can find Toms on their online store, at Nordstrom, and Amazon. When shopping for Toms, for example, you can get a percentage back of what you spend. Feeling even more generous? Instead of earning money to put into your own pocket, you can choose to give the payment to a charity of your choice. You can read more about how I use Ebates every time I shop and earn some extra money if you sign up through my link. As always, I appreciate your comments and shares. I’ve been looking for companies that give back and this is one of the most well written articles I’ve found. Thank you for sharing the fun facts about each – I did not know that socks were the number one requested item at homeless shelters, and I’ve never heard of Dave’s Bread until this, but he has such a cool story! Thanks so much for your comment. I bought Dave’s bread initially because it had added protein. I kept buying it because it’s so good until finally I read the side of the packaging and learned why it’s “killer.” They sell it at Costco now too. I hope to keep adding companies to this list and creating a follow-up post. Love, love, love! I’m so much more likely to go ahead and make a purchase when I know a company gives back in some way. One of the websites I always head to for gifts because of the work they do is To the Market. I also bought my absolute FAVORITE necklace from 31 Bits, another great little business. Thanks for sharing these! I’m excited to check out the ones I hadn’t heard of! And I’m excited to check out your recommendations. I seriously love my hat. Lokai too– and Ivory Ella. 🙂 Check them both out. I’ve heard of both but never purchased. Will keep them in mind for holiday shopping this week. Thanks for sharing.